A CalFire Grunman S-2T Type III airtanker went down today fighting the 130 acre Dog Rock fire in Yosemite's back country. No word yet if the lone pilot survived the wreck. The CalFire firefighting pilots are the best of the best. They often fly so close to the terrain to drop their retardants, you can see them inside the cockpit. They are among the bravest pilots I have witnessed, and fly in the most treacherous of conditions equal to any wartime pilot. 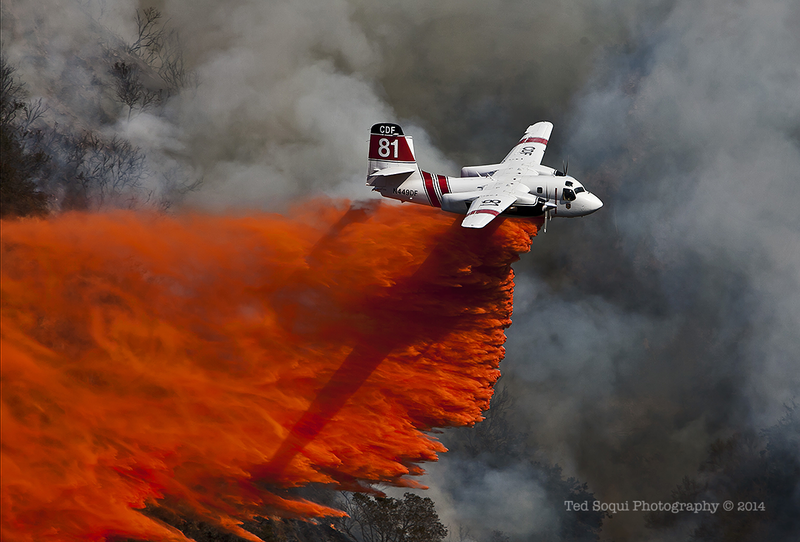 The Grunman can accurately drop 1200 gallons of retardant on a wild fire, and are often the first defense called in. This image was shot at the Colby fire in Glendora last January 16, 2014.